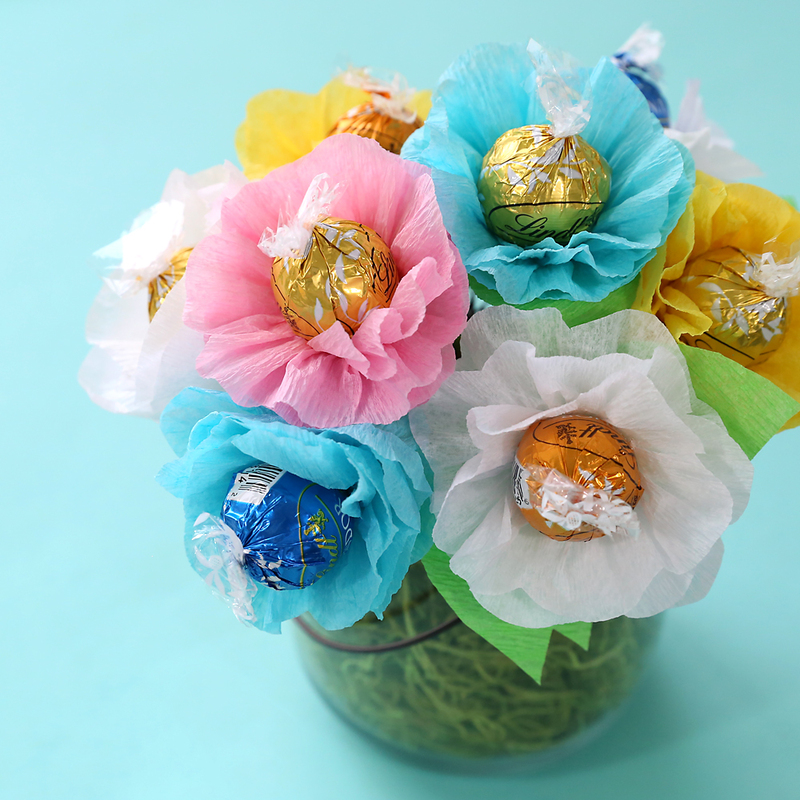 In today’s post: Learn how to turn chocolate truffles into a pretty candy bouquet! 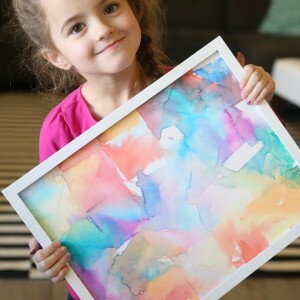 Perfect DIY gift idea for Mother’s Day or teacher appreciation. I’m guessing the two most traditional gifts for women are flowers and chocolate, at least when we’re talking gifts that are reasonably inexpensive. 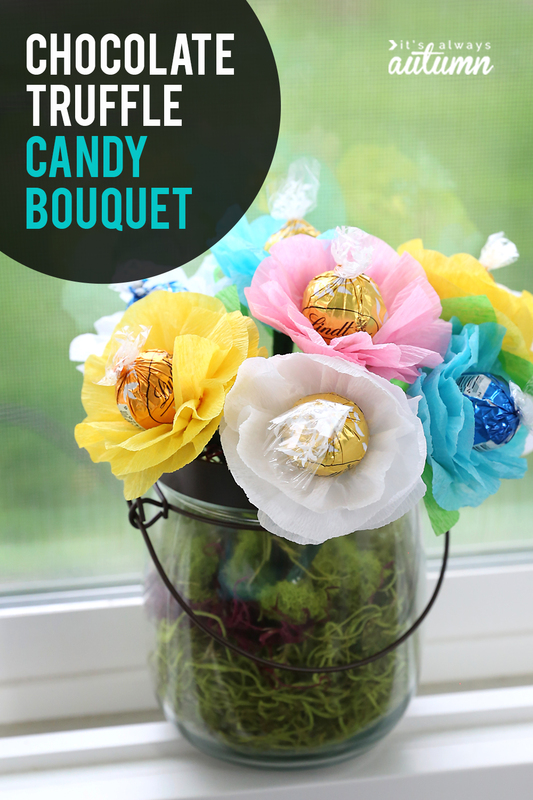 I thought it would be fun to combine these two classic gifts into a candy bouquet. 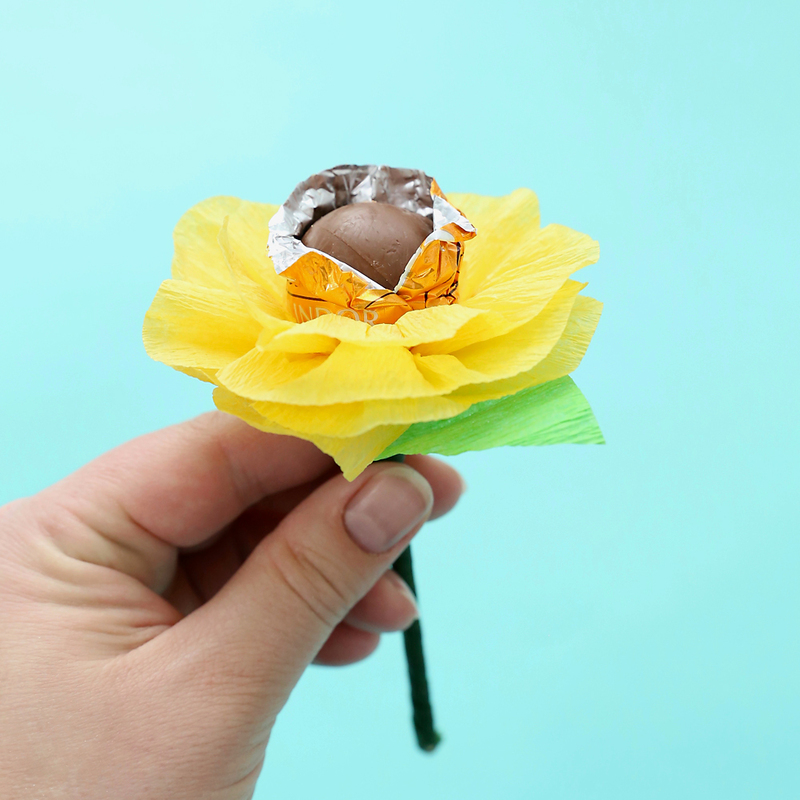 These little chocolate flowers are easy to put together and would make a cute teacher’s appreciation gift or a fun Mother’s Day gift. I mean, I’d be pretty pumped to receive a bouquet full of candy! 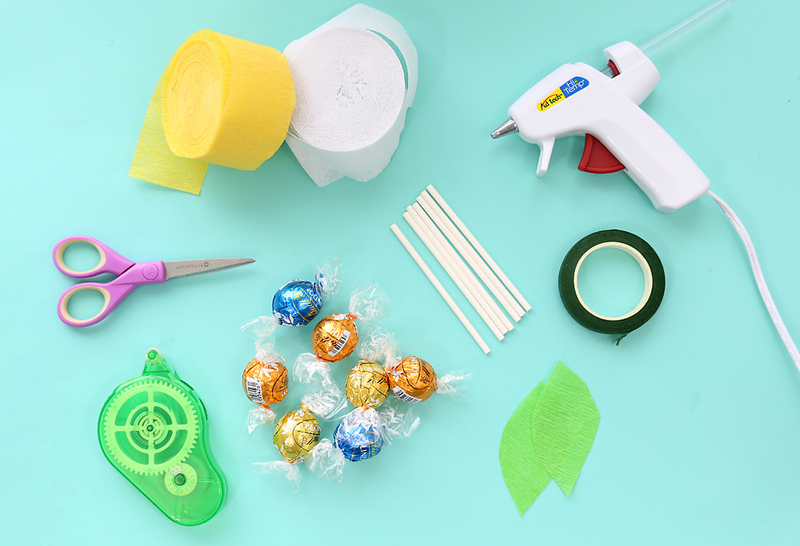 Try to find streamers and truffles in colors that look good together. 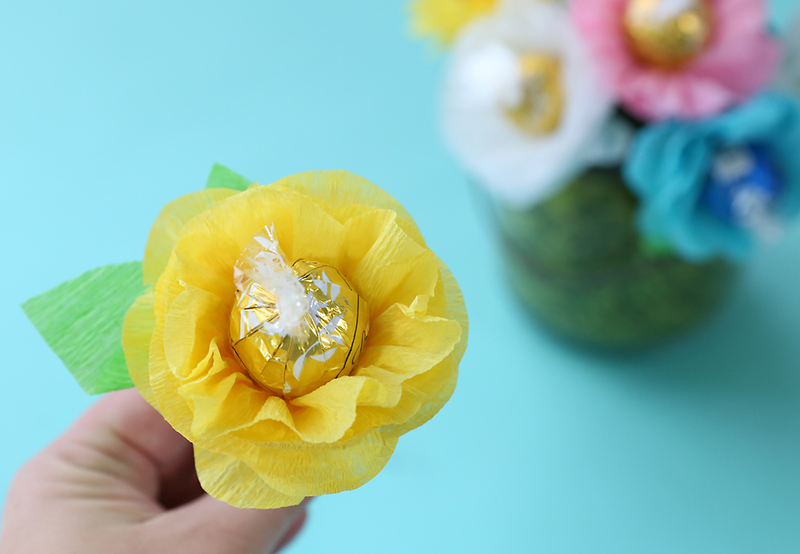 The white chocolate truffles have a pretty yellow wrapper that goes nicely with just about any color of crepe paper. And these blue sea salt truffles look really pretty inside white or light blue crepe paper. 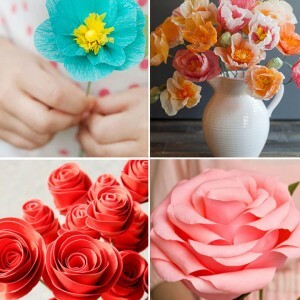 If you don’t want to have to buy multiple colors of crepe paper, just purchase white and then get an assorted package of truffles for pretty white flowers with all different colored centers. 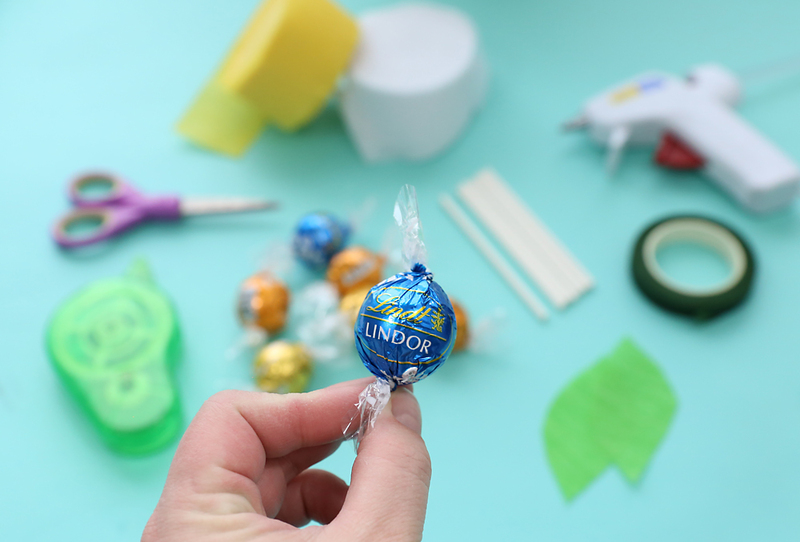 Start by hot gluing a sucker stick to one wrapper end of each truffle. Be careful not to burn yourself. Next, prep some crepe paper. I used a strip about 3 feet long for each flower and cut a petal shape along one long side of the crepe paper strip. Add adhesive all along the other long side of the crepe paper strip. I found it was easiest to do this with an adhesive runner, but you could also use a glue stick. You just need to be pretty gently because the crepe paper is delicate and tears easily. Cut a few leaf shapes from green crepe paper if desired. Starting at the base of the truffle near the stick, begin sticking the adhesive side of the crepe paper to the truffle, pleating it as you go around. Continue pleating and sticking the crepe paper to form a flower shape. When you get to the end, you can just use clear tape to secure the crepe paper in place, adding in a leaf if desired. 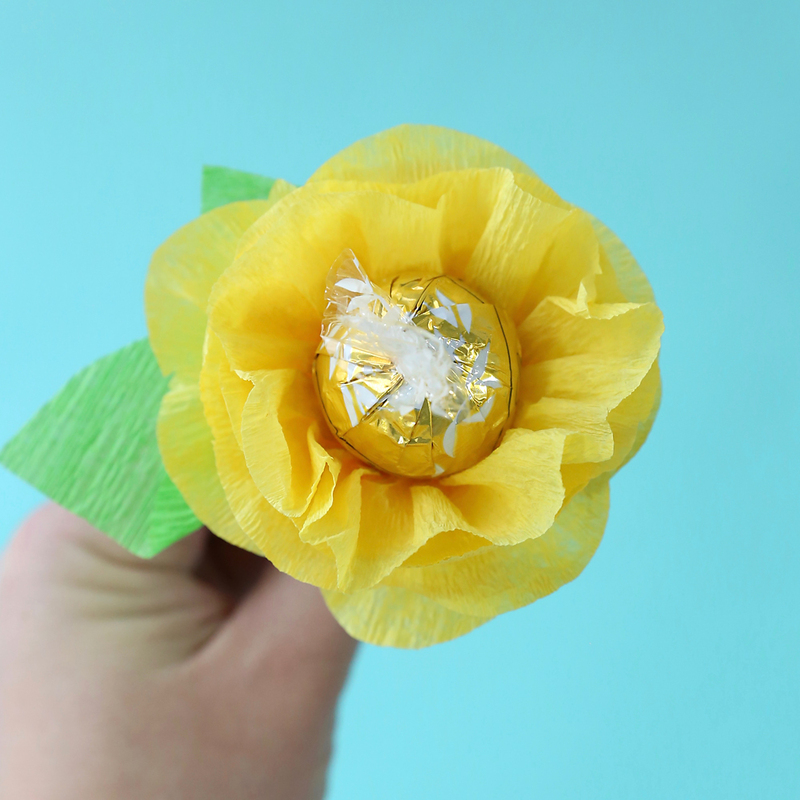 Or you can do what I did and wrap the bottom of the flower with floral tape (stretching tape as you wrap to secure it). 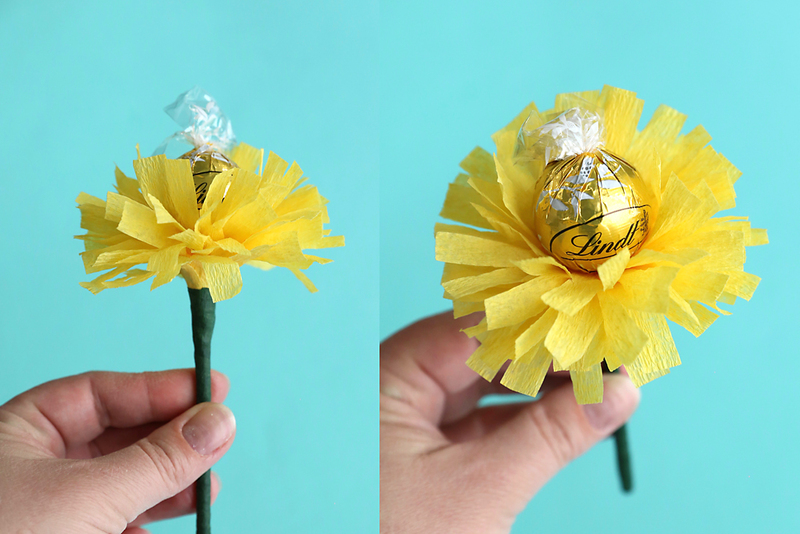 I wrapped the sucker stick in floral tape as well so the stem of the chocolate flower would be green. 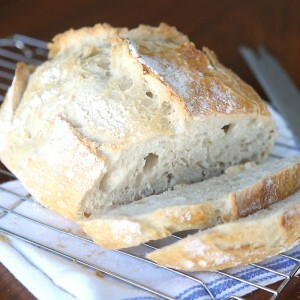 Once you’ve made a few they start to go pretty fast! It’s a great project to work on while watching a favorite show. What a lovely idea! I really want to try this, thank you for the wonderful content! Thank you so much for a great idea and a great tutorial. 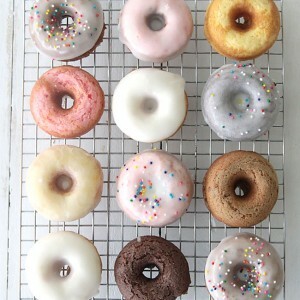 I’m going to make these with my granddaughter for her Mummy on Mother’s Day coming soon. I loved it so much, I adapted it into a star, attached a label “Hope is a Star”. We gave them out at our Christmas Eve service. Everyone loved them!